Olla! It has been awhile since I do a makeup product review. Yes! I am back with a eyeliner wearing test with Kate Fit Rare Gel Pencil and Kate Super Sharp Liner EX. This is my very first approach on Kate liners and let's see how they work on me. 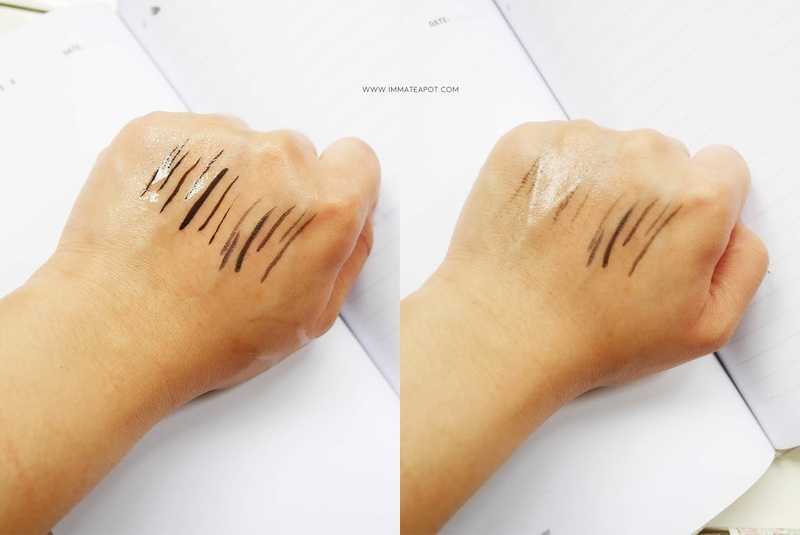 In this post, I will be trying on both Kate Fit Rare Gel Pencil and Super Sharp Liner EX. First impression on the packaging, I love it! The Kate Super Sharp Liner EX comes in an stylish edgy design, with multi-facet cuts that reflects light in all angle, the handy size and the diagonal cuts are just perfect for the grip. 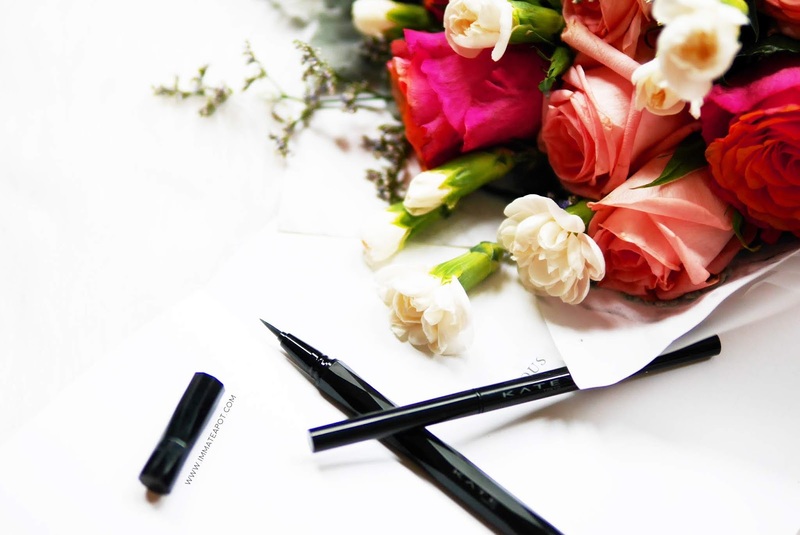 The eyeliner comes with a soft fine tips for precision drawing, which is flexible as we are able to control the lines drawing to be thin or thick during the application. 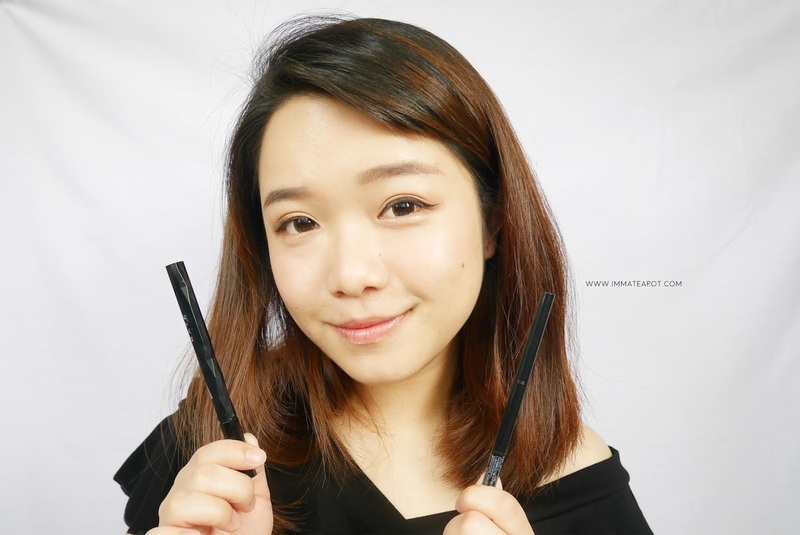 The eyeliner is perfect for beginner, as it is very easy to control, the flow of liquid is consistent and it doesn't over flow during the draw. It dries up pretty fast, within only few seconds. This is the outcome after the application. The color is intense and it comes with slight glossy shine finish on the top. 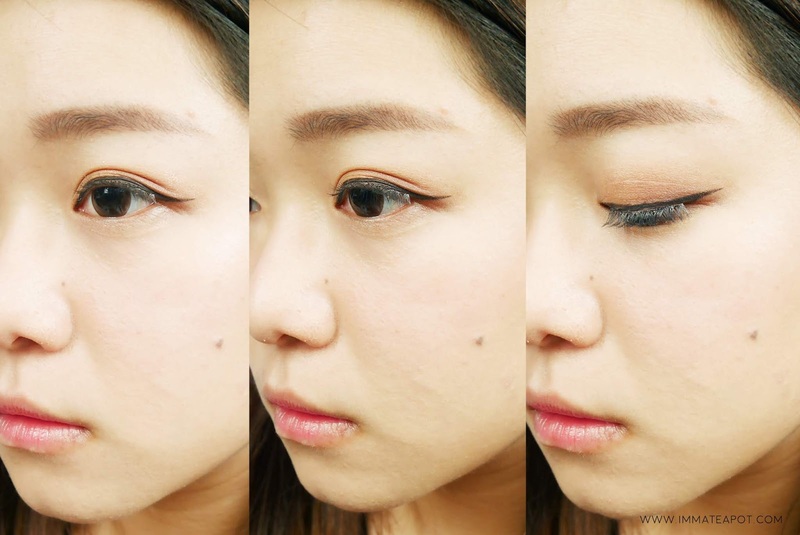 The liner doesn't spread out during the application, the overall application is smooth and effortless. This is the long hour wearing test result, surprisingly the liquid liner still looking perfect after 6 hours, just some tiny fall off on the lower eyes. 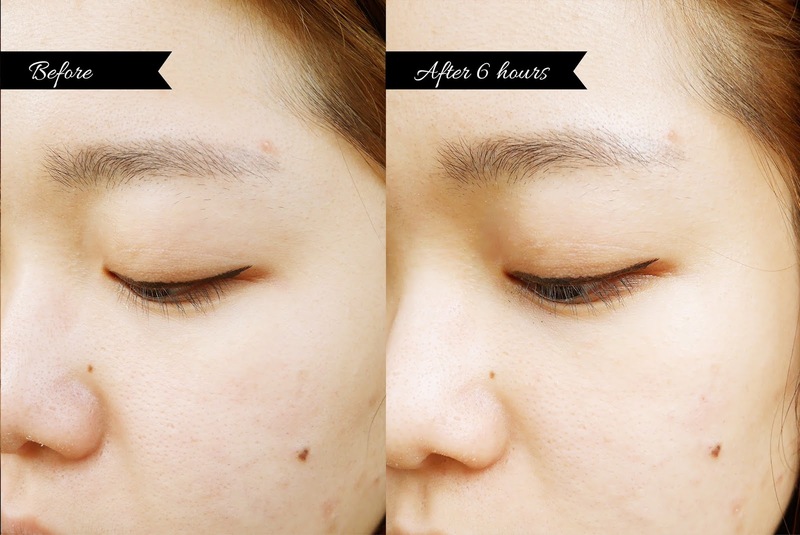 The result shows that the liner is sebum proof, smudge proof and sweat proof. Also it’s easy to remove with warm water too. 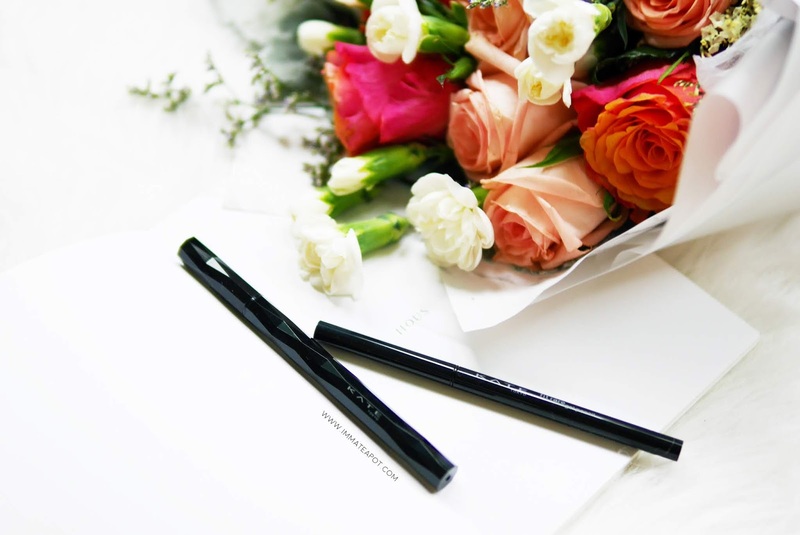 The Kate Fit Rare Gel Pencil comes in a usual sleek black tube design, which is slightly thinner compare to the usual one. 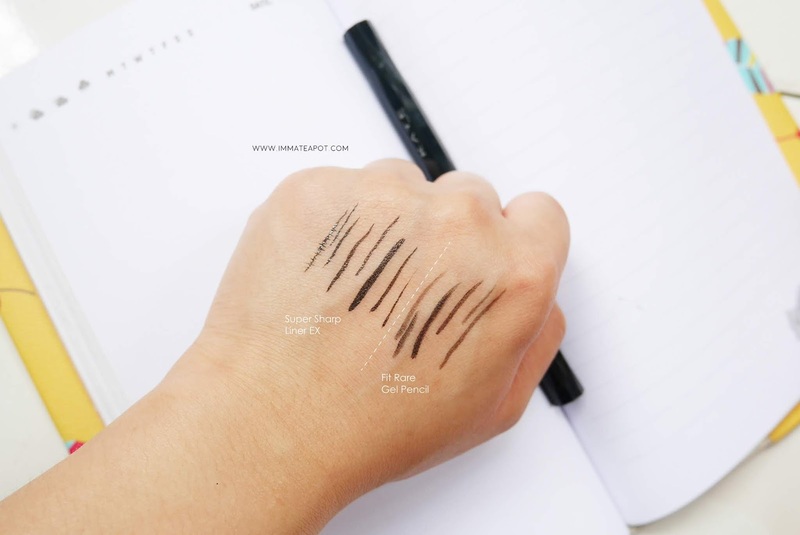 The gel eyeliner comes with a soft fine tips at only 1.5mm, which is super thin and it can reach smaller areas like the inner corner of the eyes and creating tail at the outer corner of eyes. The finishing is pencil-like, yet much solid and intense. This is the outcome after the application. I love how intense and smooth the liner is during the application. Surprisingly, I draw the liner on skin effortlessly with only a little force applied, the winged tail created is super thin, without any rough edges around the liner. 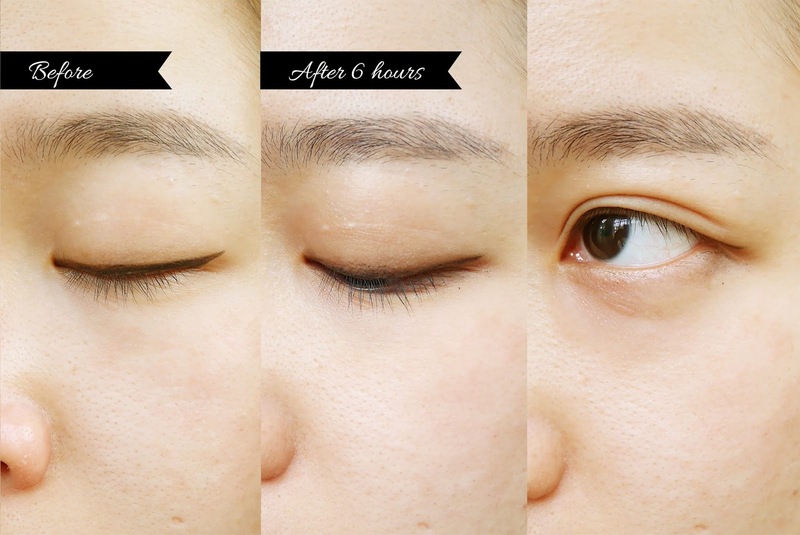 This is the long hour wearing test result where it shows that the liner does smudge a little over hours, especially on the lower lash liner and the fold of the eyelid. These are the swatches done on hand using Kate Fit Rare Gel Pencil & Kate Super Sharp Liner EX. They are different in thickness when different force amount apply on. 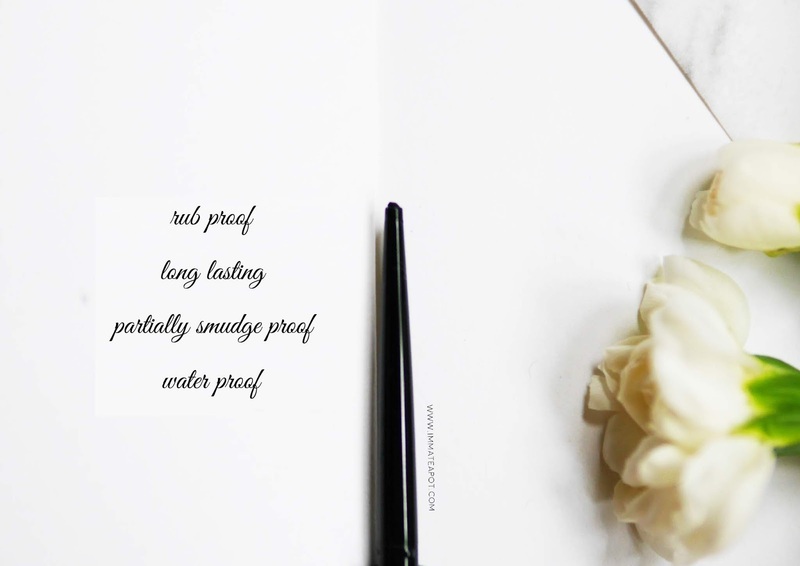 This the waterproof test on both liners. On left, both Kate Fit Rare Gel Pencil & Kate Super Sharp Liner EX are waterproof, as there aren't any smudges after intact with water. On right, after intact with water, Kate Super Sharp Liner EX smudges after the rubbing action whereby Kate Fit Rare Gel Pencil remains pigmented after the rubbing action. Personally, I think that both of the liners have its own pros and cons. 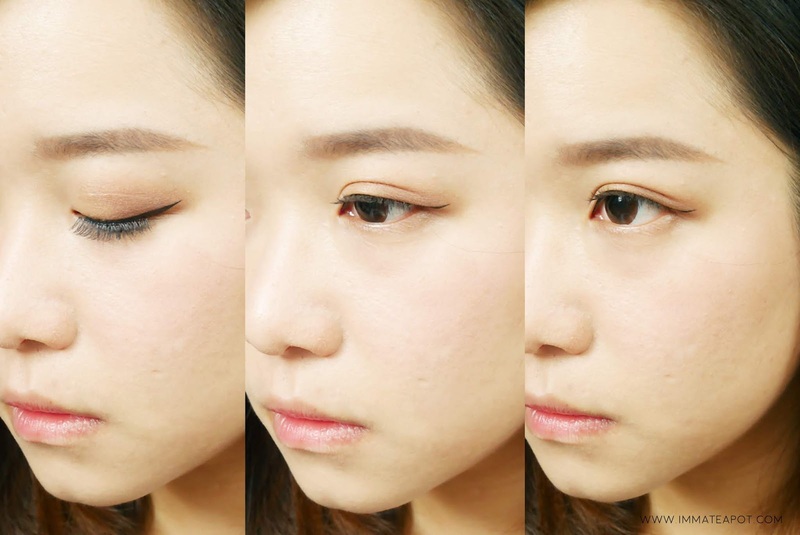 Both eyeliners work on different look and different condition. 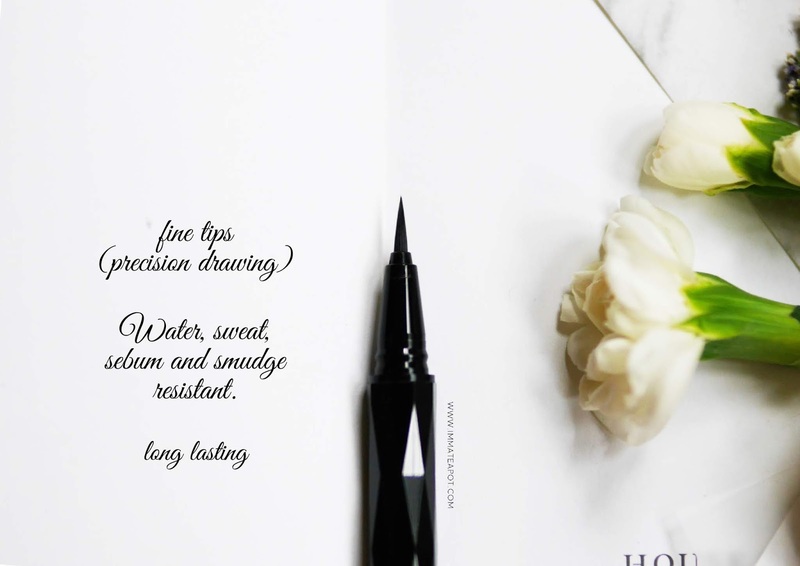 If you opt for a natural soft look, Kate Fit Rare Gel Pencil is just your perfect choice and it works well under water too! Actually there's a tiny tips to prevent smudging, you may apply some loose powder on the eyelid before application and some loose powder under eyes. You may also dab some eye shadow on top of the liner to prevent smudging. For daily usage or a sharper edgy look, you may go for Kate Super Sharp Liner EX, as it is long lasting and works well over hours. It is also resistant to sweat, sebum and water. Do remember it is not rub-proof with water, so I will not recommend applying this liner under water.